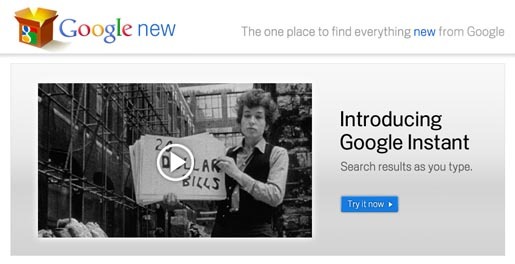 Google has launched a new portal site, Google New, introducing the one place to find their newest product and features. The site includes one of their recent videos, currently the Google Instant feature, along with a range of boxes featuring products in order of their freshness. 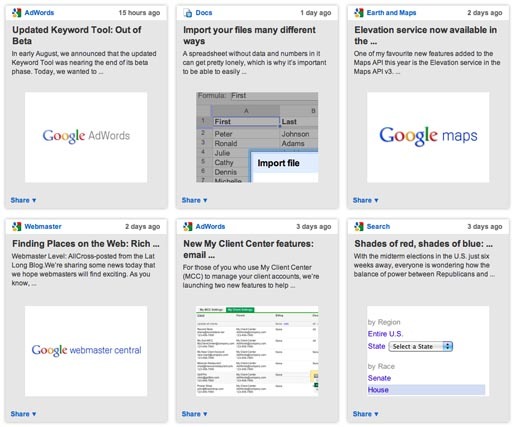 Users can sort their view by product (Adsense, Adwords, Apps…), by area of interest (business, development, education…) or search for a product of interest. Read on for screenshots and a promotional video.